As parents we have all had issues with trying to find diapers that will hold the load without leaking. Leaks lead to wet beds, lots of laundry, embarrassing spots on laps, and forgetting to restock the emergency set of pants in the diaper bag. Thankfully, there are some parents out there that felt the pain, or should I say wetness, and were able to push through the sleep deprivation long enough to come up with the booster pads. These diaper inserts fit into most disposable diapers and secure with a simple adhesive strip down the middle, increasing the disposable diaper’s capacity for liquid. Sposie Booster Pads are super soft (much more comfortable than feminine pads) due to the spunlaced fabric used to encompass the natural wood-pulp fiber core. Pee is whisked away from baby’s skin, and the design is extra absorbent and perfect for a full night’s sleep, travel, and for when your husband forgets the diaper bag by the front door. For the more sensitive tushies, parents can be rest-assured that Sposie Booster Pads are certified hypoallergenic, latex free, fragrance free, chlorine free, and phthalate free. They are dermatologist tested, made cruelty free, and made in the USA. 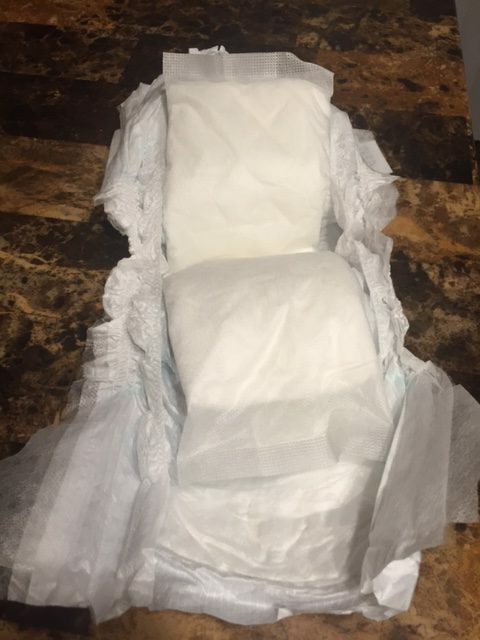 My kiddo didn’t seemed bothered by the Sposie Booster Pad, as it fit and blended in well with her regular diaper and did not add much extra bulk at all. It held a good amount of liquid and the liquid absorbed fast (I was curious and tested it out by pouring water on one to be able to see it in action). I could quickly see why it has 4.8 stars on Amazon, and already saved in my cart in preparation for our next 9 hour trek to the in-laws (woo-hoo less breaks and changing diapers in questionable rest stops!). Sposie Booster Pads are available on Amazon, at Target.com, and Walmart.com, making them easy to get without an extra trip to the store. PS- I also am imagining other helpful uses for the Sposie Pads: people camping out the night before Black Friday so they don’t lose their spots for a pesky potty break, post-birth healing support for moms instead of frozen diapers, and for events where the only options available to relieve yourself are sun baked port-a-potties. Next Article The Tastemaker is gonna make me the best Superbowl Bartender!